From the beginning, Nutramedix has operated with a unique business model. First, the owners and management work diligently to operate a company according to Biblical principles with honesty, integrity, value and respect for all people. Its corporate environment is one that works to serve both its customers and its employees, producing one of the best customer service teams in the industry. Second, Nutramedix was founded with the goal of using a significant amount of its proceeds to support orphans, widows, Christian pastors and missionaries in economically distressed parts of the world. So as a customer, you are not just purchasing high quality nutritional supplements, you are helping us give back to people in need all around the globe. The Cowden Support Program (CSP) is a protocol developed by Wm. Lee Cowden, MD initially for the treatment of late-stage Borrelia and Lyme Co-Infections. Since the protocol helps to resolve the majority of the root causes of most patient’s symptoms, it can also be used to treat “post-treatment Lyme disease syndrome” and many other chronic health conditions of unclear cause. The Cowden Support Program utilizes 14 different Nutramedix products including 6 Microbial Defense herbals (3 pairs of herbals) that are taken rotationally. The first pair (Banderol and Samento) were studied in vitro by Eva Sapi, PhD and her group at the University of New Haven, Connecticut and found to eliminate all forms of Borrelia burgdorferi (spirochetes, round-body forms and biofilm forms). In that study, doxycycline antibiotic was not nearly as effective against biofilm and round body forms of Borrelia burgdorferi. Richard Horowitz, MD in New York State has found the Cowden Support Program to be effective in markedly improving the condition of 70-80% of the advanced Lyme Borreliosis patients with co-infections over 4 to 6 months time, even if the patients had previously failed to improve on multiple courses of antibiotics. Dr. Horowitz presented the findings of his use of the Cowden Support Program in a fairly large group of his patients with Lyme Borreliosis & co-infections at the ILADS conference in the fall of 2007. More recently, a 9 month observational study with the Cowden Support Program was conducted by the Borreliose Centrum Augsburg, Germany. Completed in 2012, this study resulted in 80% of patients showing symptomatic improvements (via questionnaire) and 90% of patients showing improvements via lab blood tests. One of the reasons for the success of the CSP is the fact that the Microbial Defense products have broad-spectrum action against bacteria, fungi, parasites, and even viruses and they are natural anti-inflammatories and are non-toxic. When only pharmaceuticals are used, which have a much narrower spectrum of action than these broad spectrum herbals, many late-stage Lyme patients fail to get well and symptom free because often times the pharmaceutical drugs are not able to resolve the various remaining microbial infections, deal with the immune dysregulation and gut dysbiosis, etc. Toxicology studies at the University of Guayaquil, Ecuador showed these herbs can be given to animals at thousands of times the recommended doses without changes in animal behavior or in organ histopathology. Another reason the CSP is so successful is because of other constituents of the program. 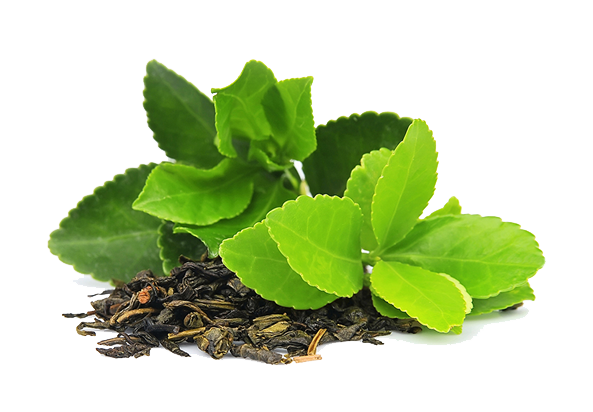 Takuna has powerful antiviral properties and is included in the first 3 months of the program. Stevia is included in all months of the program and has been proven to kill all forms of Borrelia and to be broad-spectrum antifungal. The Sealantro helps to detoxify most heavy metals from the body, various biotoxins and several other man-made toxins. The Burbur-Pinella removes toxins from the brain, spinal cord and nerves and, with Parsley, help detoxify the liver, gall bladder, kidneys, lymphatics, and interstitial spaces (the space between cells). Sparga helps detoxify from the body the Sulfa antibiotics and other sulfa drugs that block the body's sulfation pathways and the glutathione toxin-conjugation pathways. Most chronically ill patients are magnesium deficient. 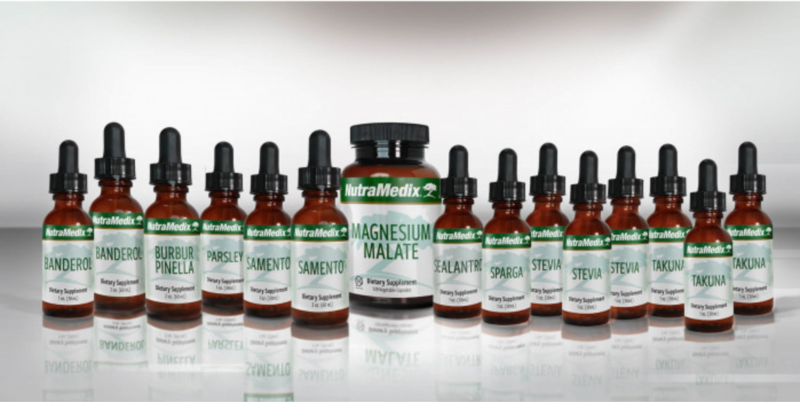 The Magnesium Malate is the most highly absorbable and highly utilizable form of magnesium. Approximately fifty percent of metabolic enzymes, that ultimately cause ATP energy production for the cells, require magnesium as a co-factor. And magnesium is necessary for normal heart rhythm, normal blood pressure, normal nerve and brain function, normal contraction and relaxation of skeletal muscles as well as smooth muscles in the gut, bile ducts, pancreatic ducts, etc. The Serrapeptase taken 30 minutes before food gets absorbed and breaks down biofilm and fibrin in the body. When fibrin that covers over microbes is stripped away with Serrapeptase, the immune system and the antimicrobial products can more effectively gain access to those microbes. When fibrin that is adhered to capillary walls is stripped away by Serrapeptase, oxygen is much more easily able to move from red blood cells into the tissues, thus converting predominantly anaerobic metabolism back into aerobic metabolism. This results in a shift from a microbe-friendly lactic acidosis tissue environment to a normal acid-base environment. Adult patients taking the Cowden Support Program are urged to drink 2-3 liters or quarts of water per day (proportionately less for children based on weight). Patients are urged to practice stress reduction techniques (deep-breathing while visualizing with all 5 sense a relaxing vacation spot) for 4 minutes before each meal and before each bedtime. Patients should be in bed resting (whether they fall asleep or not) in a pitch-dark bedroom with minimal electro-magnetic pollution, from 11pm to 6 or 7am each night. Patients are urged to eat more raw, organic, (mostly vegetarian) foods that are NOT genetically-modified and to avoid sugars, excessive starches, processed foods, fried foods, peanut products, canola oil and hydrogenated oils. Patients who also avoid all wheat products and all cow-dairy products seem to improve much faster. Patients on the CSP are encouraged to find ways to laugh each day, to avoid unnecessary stress and bad relationships, to pray or meditate each day, and to find a way to give and receive love each day, even if that means having a dog or a pet. Unconditional love is one of the most powerful healing sources in the universe. ATTENTION: Fibers and most products that act as binders can be taken at least 30 minutes after a dose and at least 4 hours before a dose. Certain binders such as Activated Charcoal, Calcium Bentonite Clay & Cholestyramine (Questran) should be taken ONLY as absolutely necessary to resolve a Herxheimer reaction.